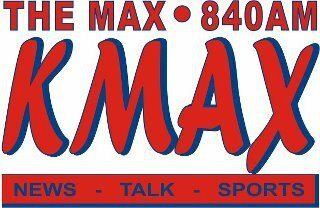 AM 840 ‘The Max’ broadcasts local, regional and national news and sports, as well as nationally syndicated talk programs, including Sean Hannity, Glenn Beck, Lars Larson and Mike Huckabee. We appeal to mature Millennials and Gen-Xers to Boomers and beyond. Avid followers frequently call to voice their opinions during national and local broadcasts, highlighted by “Max Matters,” a live, locally-hosted, twice-weekly talk show. Throughout the year, the Moscow, Id. and Pullman, Wash. League of Women Voters holds Candidate and Issue Forums in an attempt to help inform the public in a non-biased format. As the leading news and information station for the Palouse Region, 840 The Max ensures these forums are aired live for convenient listening. Twice a week, listeners can tune in to hear local issues, local opinions and air their own on ‘Max Matters.’ Hosted by two Moscow, Idaho, natives Steve Nelson and Gary Cummings, and joined by Greg Craber, typical interviews include political candidates and hot topics from our region and the world. On Sunday nights, all things unexplainable and conspiracy theory become the topics for discussion on, ‘Northwest Undercover’. Topics have ranged on the local, call in talk show from Bigfoot to the JFK assassination and change from week to week.